I've been itching to give the pike rods an airing for a few weeks but it's been remaining so warm that other species have still been tempting me. If I'd got my act together on Friday I'd have had enough bait for a bream/tench session on Saturday. Instead I looked in the freezer and found some deadbaits. It would be an early start on Saturday morning. I must have been keen because I was up well before first light and setting up in a swim I've been eyeing up for weeks as the sun was turning the clouds in the east pink. Five hours later and the only time the floats moved was when I wound them in for a recast. Even as I walked to the swim I hadn't needed my fleece and it just got warmer and warmer with next to no wind. The flat calm enabled me to watch bream bubbles breaking on the surface from nine o'clock. That decided me to pack up, nip home for some lunch and then go stock up on bream bait. I left the pike gear in the car and called in somewhere on the off chance for the last four hours of daylight. There wasn't much of a view. 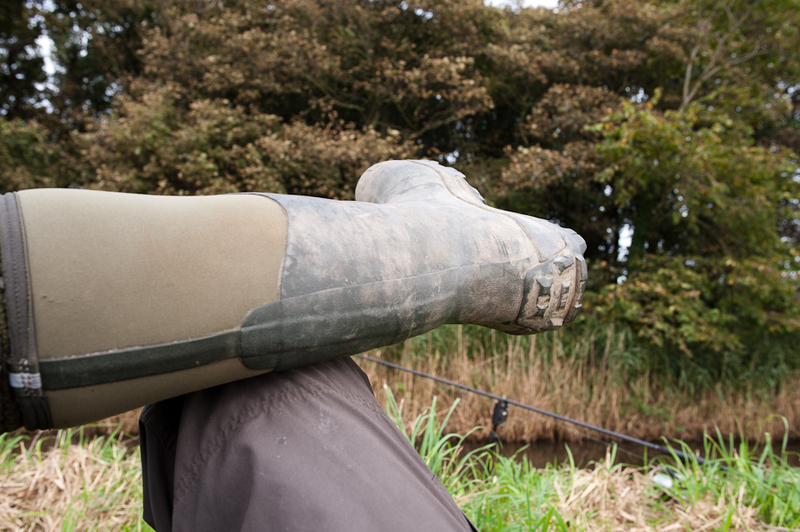 Although afternoon pike sessions don't often do me any favours I felt confident. There were plenty of small fish topping, and others sending up bubbles. There had to be a pike or two in the area. Just as in the morning the floats only moved when I wound them in. After one early start I was a bit late setting up on Sunday on a morning that was a lot cooler with a heavy dew. 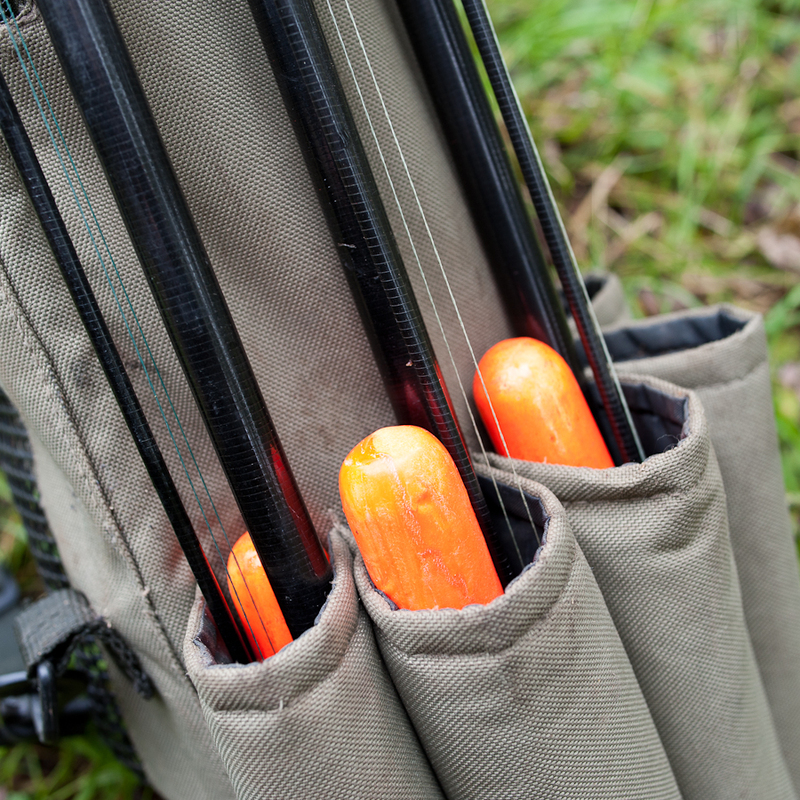 It felt like a piker's dawn as I carried my load of gear and bait to the swim. I took my time plumbing around and marking the lines for accurate baiting with the feeders. 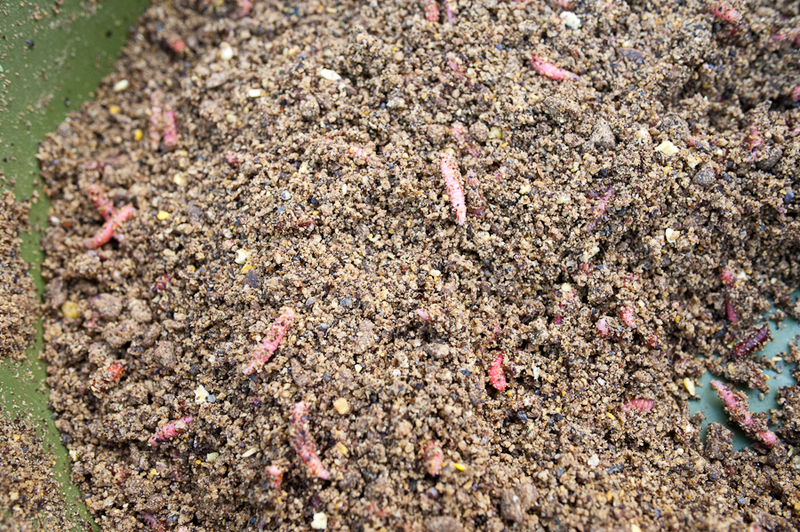 The groundbait mix was boosted by the addition of last weeks maggots which I had scalded. One rig fished a couple of the pineapple Band'Ums and another two grains of plastic corn. As a fail-safe the third rod fished a rather odd roach rig consisting of a size 18 tied to 7lb mono! I wanted the thicker line to avoid tangles and to see if roach would put up with it. The hook was baited with a single red maggot. It took less than half an hour to prove that roach would indeed accept this unbalanced presentation. I worked hard at recasting the rods to get a bed of feed down, having to refill the mixing bowl around noon by which time I had caught a few roach between an ounce or two and maybe six. All to the maggot. By then the day had warmed up and in the sun it was as warm as the Saturday had been despite a stronger breeze. A few dragonflies were still hawking along the water's edge, two paired up, and a lonely chiffchaff flitted through a hawthorn, it's branches becoming bare and its haws darkening. Leaves are beginning to drop in abundance, some trees already starting to show their underlying matrices. All that's needed to get autumn in full swing is a frost or two and a week of strong winds. I was starting to flag around lunchtime and tried to get some sleep. The maggot rod kept disturbing me. Eventually it went quiet after a single bleep and I managed an hour of dozing. When I perked up again I found out why the maggot rod had gone quiet. The hook was missing. The line neatly sliced. I guess a roach had hooked itself and then been taken by a pike. When it came time to pack up, before it got dark as I knew when I was beaten, I'd amassed 25 small to smallish fish. Almost all roach with two or three small skimmers amongst them. every one to maggot and not so much as a liner to the other two rods. If I'd worked harder at the maggot rod I could probably have managed a fair few more, but catching small roach doesn't do much for me. Unless they're destined to become bait. I really couldn't be bothered putting in the effort to fill a keepnet with four ounce roach. Strange how some people enjoy catching lots of fish irrespective of size while others prefer to get a few larger specimens. Listening to the weather forecast for the week ahead it seems set to turn cooler. It might be time to concentrate on the pike. I'll have to clear the old bits of bait out of the freezer to make way for new stock.